In today’s increasingly digitalized world, it’s no secret that personal connections are lacking. At the same time, we’ve never been more reachable. And many of us are suffering as a result. In fact, depression is poised to outrank obesity by 2030, according to WGSN, with 615 million people suffering worldwide. What does this mean for the beauty industry? Well, that products that appeal to our emotional side will become increasingly sought-after. Indeed, back at the start of 2017, we predicted that products and rituals that nurture the soul, include an element of sociability and promote self-love would be beauty’s next big thing and WGSN confirms it in its Robots are coming report, presented at Cosmoprof this month. “In an emotional economy where purchases are less about the product and more about how the products make people feel, consumers are looking for personal care and cosmetics that do more than offer experience but also tap into their emotions,” reads the executive summary. That’s presumably why we currently can’t move for products that promise to alleviate stress, promote better sleep or simply create joie de vivre. This Works’ Stress Check Face Oil, which claims to keep cortisol in check through aromatherapeutic formulas and calming skin care ingredients is a prime example; or the recently launched La-Eva, which is said to use essential oils to tap into the emotional complexity of its consumers. 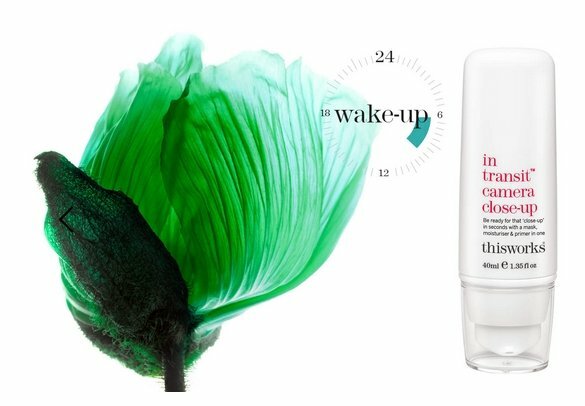 Or why K-beauty has shot to fame off the back of multi-sensory products – gel textures, peelable masks and ritualized applications have helped the category reach the heady sales it enjoys today – not to mention spawning a whole new category of ‘aligned’ chronobiological beauty products that are created to harmonize with our biological rhythms (or so they say). It may also be why Deciem Co-Founder has ditched the company’s marketing strategy as well as his own job title in favor of a more raw, unfiltered online existence. Or perhaps why South Korean brand Wishtree labels every product with the exact provenance of its key ingredient with its Volcanic Mask proclaiming ‘I’m from Island Jeju, Korea’. All ways that brands can become more approachable, more identifiable and appeal to that base consumer instinct that seeks out the familiar, the relatable as well as the experiential. And why successful brands everywhere merge human intelligence with artificial intelligence – think Chanel’s experiential pop-ups, designed to promote its new Instagram persona, Clairol’s new sensory store designed to promote its rebrand or Charlotte Tilbury’s combination of digital wizardry and bricks and mortar presence with the installation of a magic mirror at her London Westfield concession. “Beauty brands need to focus on creating more meaningful experiences with cosmetic products, spa treatments, and services that improve the customers’ emotional well being, mentally and physically,” concludes WGSN. In other words, we shouldn’t forget the power of the sensorial – the transaction of the future may well be online but we’ll always need to provide an element of touchy feely to reach real people. We are not robots.